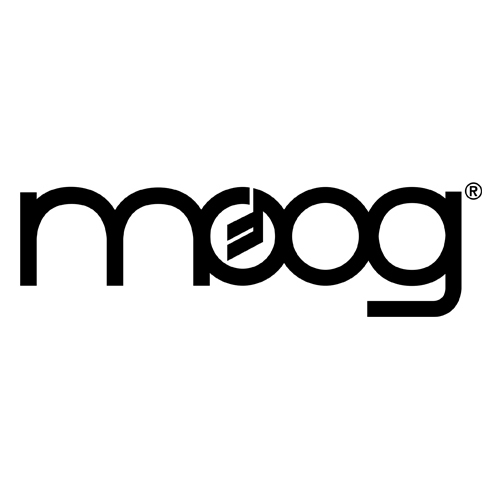 The Moog Minitaur Analog Bass Synth Module is a minimoog-style compact monophonic bass synthesizer based on the Taurus I and Taurus III synthesizers. The Moog Minitaur has a 100% analogue audio path and a one knob per function design for real-time tweakability including 2 Taurus VCOs with a choice of Saw Tooth or Square waves, 2 mixer VCAs, 2 minimoog style ADSR envelope and 1 VCF with ladder filter and VC Resonance and one VCA. In addition, the Minitaur possesses several new features such as an external audio input to expand on the sound design and synthesis possibilities. At 8.5" x 5.25" and less than 3 lbs, the Minitaur marks the next chapter in the Taurus family history by offering new form factor, control interface and increased level of accessibility. Despite being the first in the Taurus family not to feature foot pedals, the Minitaur is nonetheless a powerful analog Moog bass featuring MIDI/USB Out with easily recalled presets for a package suitable for today's performance and production environments. 100% Analog Monophonic Desktop Bass Synthesizer with MIDI and CV Control.